Applications are now open for our accelerator programme, helping tech for good ventures launch and scale their businesses. We’re now on the hunt for talented teams who are using technology for the benefit of people and planet. 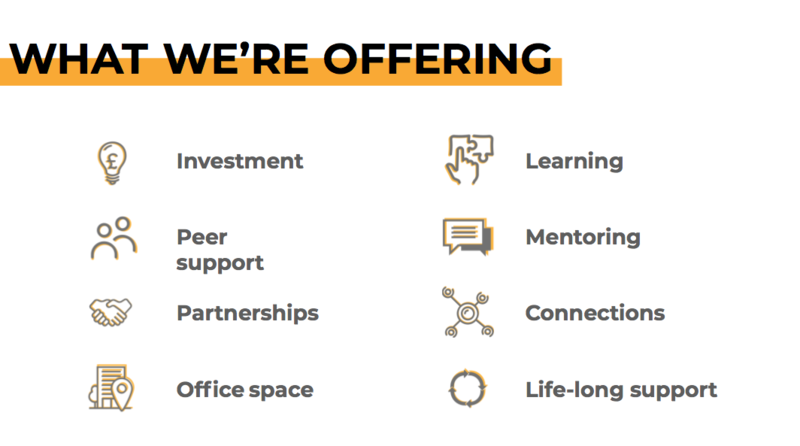 Our spring programme kicks off in May and offers investment, an intensive 12-week programme of mentoring and 1:1 support, free office space, and connections to a growing community of tech for good founders, funders and field-builders. For more information head over to our accelerator page and find out more about our criteria, and if you’d like an opportunity to meet one the BGV team, fill out this form. Applications close on Monday, 18th February 2019, 23:59. At BGV we’ve now invested in over 110 ventures using technology to tackle social and environmental challenges. Over the course of six years, we’ve helped these ventures grow and launch their businesses and really drive purpose to action providing life-long support to our portfolio. So what are you waiting for? Find out more about our application process and apply.